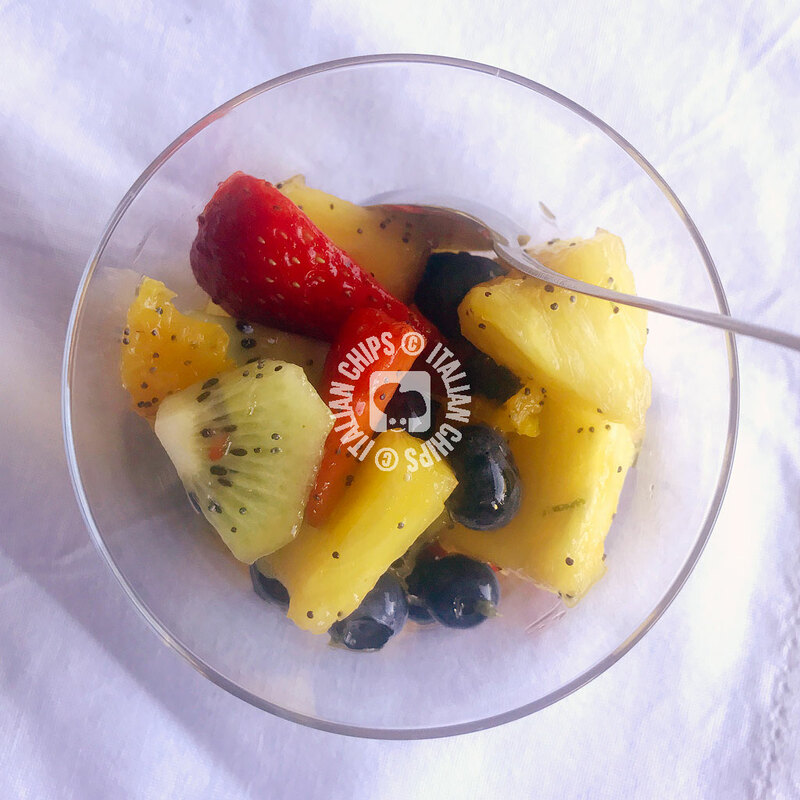 Fruit salad is a recipe, if we can call it a recipe, that I connect to my father. He loves it and often prepares it to himself. I don’t. Sometimes I buy ready-to-eat ones while in Brazil, but usually I eat the fruit separately. But as it happens often, one day you see a recipe that calls your attention and decide to try it. And you like it. 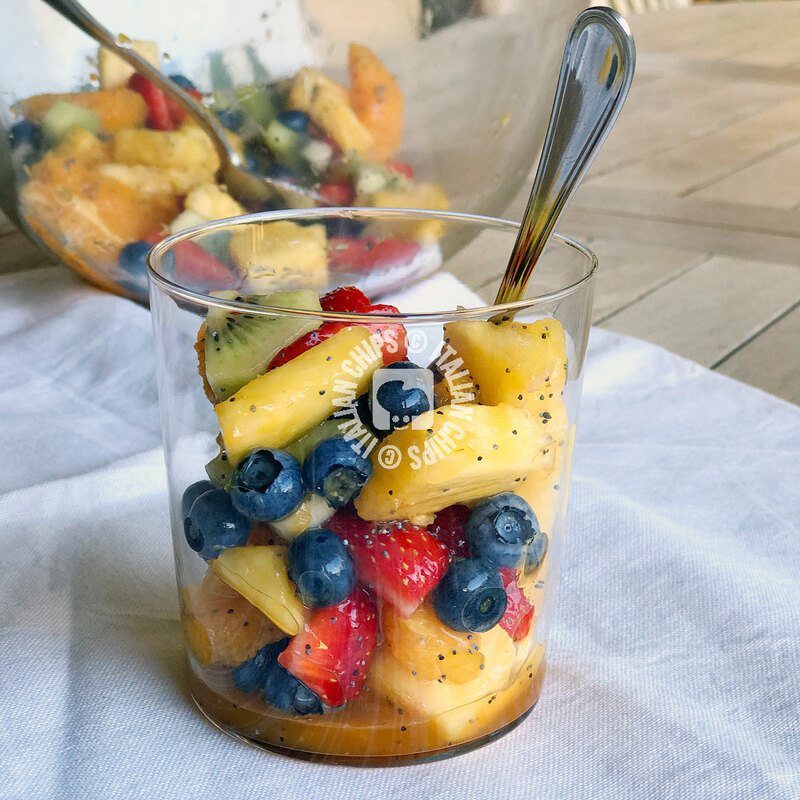 I admit that poppy seeds made me feel like trying this fruit salad recipe (I love it since I first prepared the lemon poppyseed plumcake that became one of our classics here at home), even if I was not indifferent to lime zest and juice. To make things short, I prepared this fruit salad and we ate it in little time. I had never “dressed” a fruit salad before and I really liked it this way. You can obviously change the fruits. I was inspired by the recipe I saw on Taste of Home. I changed some quantities and used fresh pineapple instead of canned one. Mix well the dressing ingredients and pour into a bowl where you have put all the washed fruit. Mix until dressing has covered all fruit. Serve immediately or keep in the fridge until serving.